For more information about Display Advertising, contact Ad Sales at 406-628-4412 or email "ads@laureloutlook.com" . Card of Thanks ad deadlines are Mondays at 2 p.m. If there is a Monday holiday (i.e. Memorial Day, Labor Day, etc.) deadline will be Friday at 2 p.m. Card of Thanks ads cost $3.50 and online users must pay by credit card at the time of placing the ad. The Laurel Outlook accepts Visa, MasterCard and Discover. 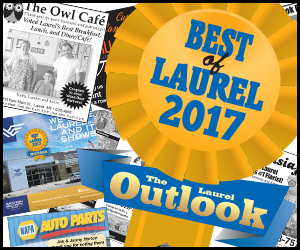 Please email your submission with contact information to "classifieds@laureloutlook.com"
We welcome letters to the editor online. Letters are published at the sole discretion of the newspaper staff in the order they are received. Letters must be 300 words or less with your info (at least your name, phone number and general address.) Please send submissions with contact information to: "news@laureloutlook.com"
The Laurel Outlook charges $10 per column inch for obituaries. A photo may be included at no charge. Obituaries should be submitted by 5 p.m. on Monday, the week of publication. The Outlook requires a phone number, name and address of the person responsible for payment. We will take your payment information over the phone after we have received your approval to publish at the cost quoted. Families and friends write their own tribute the way they want it to read. Outlook staff edits for spelling and grammar. We suggest you include the deceased’s full name, age, city of residence, date of death, date of birth, preceded in death by, survived by, visitation information (day, time, location), service information (day, time, location), interment, and memorial preferences (if any). Online or email submission of Microsoft Word or plain text documents are preferred. We also accept hard copies and faxes. When submitting handwritten copy, please print carefully and check the spelling of important information to ensure we publish your notice accurately. Please note, photos cannot be faxed. Obituaries and photos may be mailed to The Laurel Outlook, P.O. Box 278, Laurel, MT 59044; dropped off at the office at 415 East Main St.; faxed to 406-628-8260; or emailed to news @ laureloutook.com.